Chinese smartphone maker Xiaomi Corp. plans to raise up to $6 billion in one of the biggest global stock market debuts in recent years as it tries to become a worldwide hardware-and-services brand alongside Apple, Google and Amazon. The initial public offering in Hong Kong would value the Beijing-based company at as much as $70.3 billion, according to details released Saturday. Xiaomi will raise less than the $10 billion industry observers had expected, which would have valued the company at $100 billion. But it will still be among the biggest tech IPOs since Chinese e-commerce giant Alibaba raised $21.8 billion in 2014. Xiaomi shares will start trading on Hong Kong's stock exchange on July 9 under the ticker of 1810.HK, after the public offering of 2.2 billion shares to institutional investors next week at an offer price between 17 and 22 Hong Kong dollars ($2.20-$2.80) per share. The 8-year-old company, which also makes robot vacuum cleaners, air purifiers and TVs, is a star among Chinese unicorns, a term referring to startups valued at more than $1 billion. It unseated Samsung Electronics in the Indian smartphone market and Apple in China. It is also one of the few Chinese companies that succeeded in global markets such as India while making fans in places like South Korea. 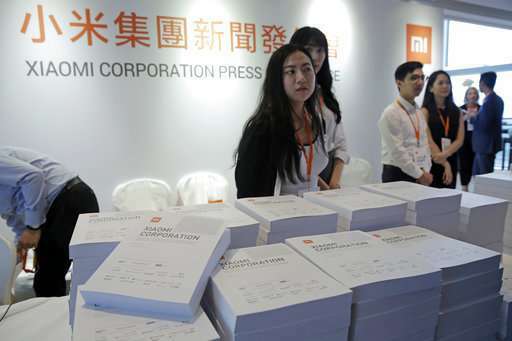 The IPO means Xiaomi, a self-described internet company, is stepping up its game in the international market while trying to invent a new business model that works overseas. Its first challenge would be to reduce its revenue reliance on smartphone sales, which accounted for 70 percent of the company's revenue in 2017, by increasing revenue from other gadgets and internet services. 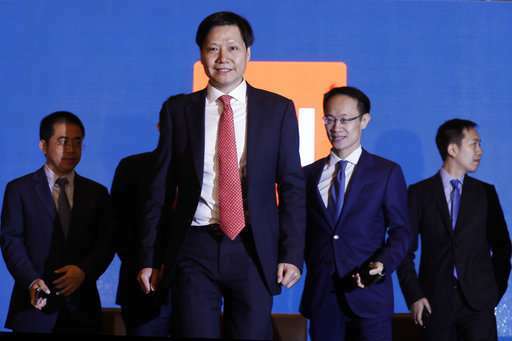 During a news conference ahead of the public offering, Xiaomi chief executive Jun Lei described the company's business as part Samsung, part Google and part Amazon, consisting of sales of hardware products, internet services and e-commerce. 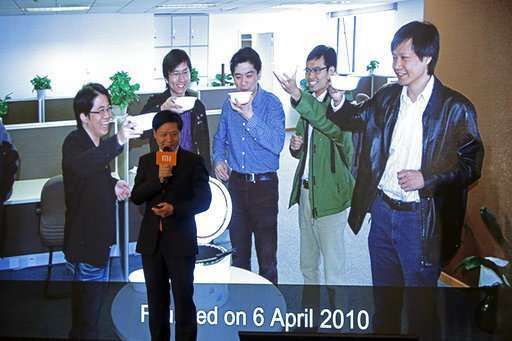 "We are one of a kind," CEO Lei told reporters, standing before a presentation that described Xiaomi as "a new species." But he offered few details about how such a business model will work outside China and how the company plans to increase revenue from internet services. The public offering will provide cash for Xiaomi's global expansion as well as strengthen its mobile internet services and artificial intelligence. 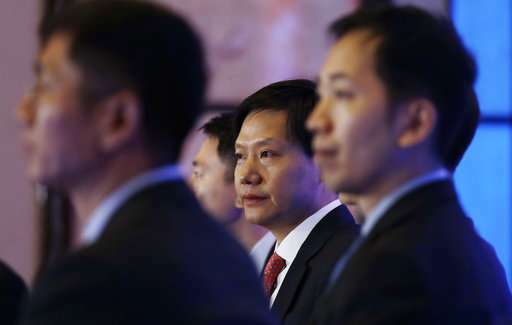 One third of the IPO's proceeds will fund Xiaomi's hardware research and development, another third will finance its global expansion and the rest will be used to build up its internet ecosystem for its connected devices, the company said. The Mi series of smartphones helped drive Xiaomi's quick rise with their ultra-low prices and competitive quality, but stagnant growth in the smartphone market, especially in developed countries, means Xiaomi needs to look for new revenue sources. The company said it wants more of its revenue to come from its other businesses such as its internet services for consumers using its robot vacuum cleaners, air purifiers, rice cookers and various internet-connected devices. 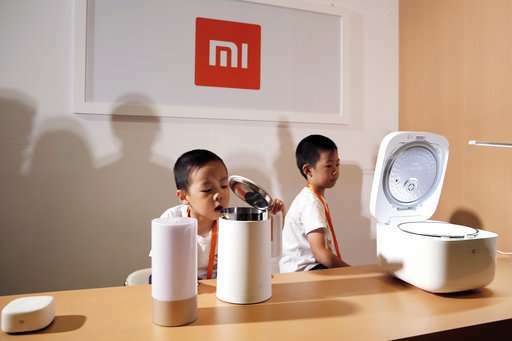 "Xiaomi targets the revenue proportion from IoT services to increase to 40 to 50 percent in the coming eight to 10 years," Lei said. In 2017, those services accounted for less than 30 percent of the company's revenue. Lei said there is "huge potential" to increase internet revenue from users on Xiaomi's smart TV platforms and other internet services, but he gave few details. More than half of the company's internet service revenue comes from advertisements targeting users. Lei, one of the richest people in China, is poised to become wealthier with the IPO. 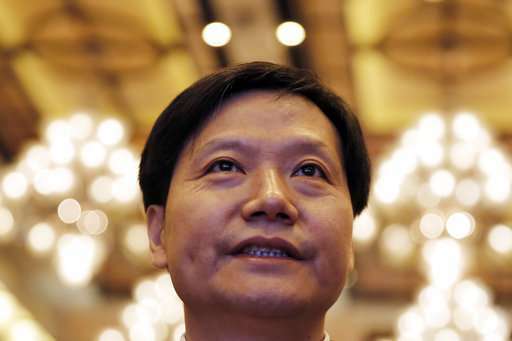 He was awarded in April with $1.5 billion compensation in stock of his other company, Smart Mobile Holdings Ltd., for his contribution to Xiaomi, its filing with Hong Kong stock exchange showed.